Hacking ISIS: Can Vigilantes Infiltrate Terrorist Networks? Bianna Golodryga: Hacking ISIS: Can Cyber Vigilantes Infiltrate Terrorist Networks? Today’s battles are only faint echoes of the wars of the past. Instead of ground troops marching on blood-soaked battlefields, modern warfare has reached new levels of danger and sophistication: developed nations like the US, for example, utilize smart missiles, economic suffocation, and crippling cyber attacks across landscapes both virtual and physical. This is the state of first world warfare, anyway. But in a day and age in which one of the largest global threats is a comparatively crude and loose network of terror, more primitive elements persist: beheadings in the name of religion, hemorrhaging hostages, and property seized by gun-wielding ideologues. ISIS is, by most accounts, a tyrannical cancer — but beneath its primal facade are surprising modern strengths that keep it well oiled and thriving. Having essentially hijacked Islam to declare itself a caliphate at war with the West, the self-proclaimed “Islamic State” has three features that elevate it from the unrefined tribes of yesteryear: technology, money, and business savvy. Because these elements are all partly or fully digitalized, the Wild West of the World Wide Web has become hugely promising battle ground. It’s no wonder, then, that Anonymous, a vigilante hacking group, doubled down on their own “war” on ISIS in November following the terrorist attacks in Paris. Through virtual attacks, the rogue network hopes to dismantle the online systems that help ISIS spread its poison to radicalize youths globally. Anonymous’ hacking could potentially expand to target ISIS’ shadowy online financial system, or their internal communication through PlayStation consoles. In short, hackers want to hit ISIS where their expansion strategy lives. ISIS’ business savvy is aided by social media, a key tool for recruitment. The organization has appealed to young people across the world with memes and kittens, promises of glory, and by relating to the profoundly adolescent experience of “otherness” — something acutely felt by young Muslim minorities globally. Pay no mind that ISIS doesn’t deliver on half of their promises — the recruitment has been wildly successful in attracting both foreign fighters and even a solid base of fangirls. 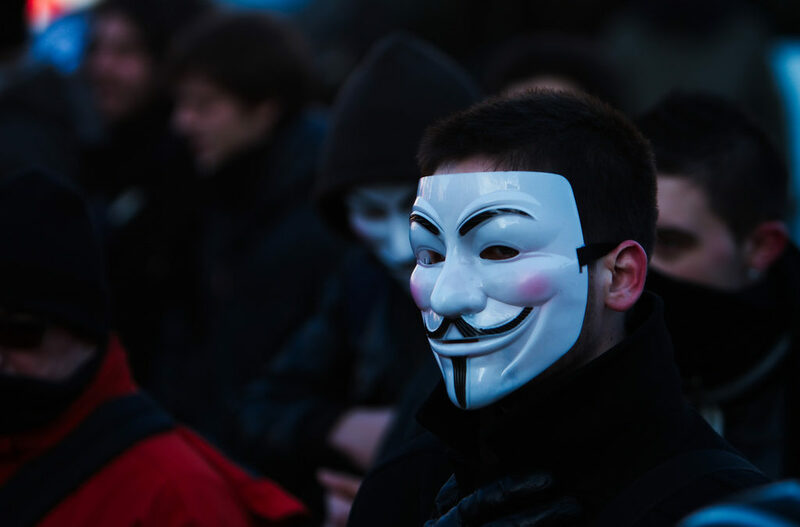 Anonymous has focused their efforts squarely on social media to counter ISIS’ recruitment. The group and its affiliates have already taken down 20,000 ISIS-affiliated Twitter accounts as well as hundreds of channels on the Russian messaging app Telegram. Their operations include doxxing supporters and publicly publishing their secrets, providing instructions for others to perform DDoS attacks on websites, crack passwords, and identify supporters with keyword searches. Anonymous may in some ways be the perfect online match for ISIS, though if the match were on Tinder, the latter would certainly swipe left on the former’s advances (in fact, ISIS has called Anonymous “stupid,” a not-so-sick burn). Both groups are decentralized, tech-savvy, and lawless, and both use social media to spread their cause. For example, Anonymous also appeals to young Internet users with memes: recently, they declared Friday, December 11th “Troll ISIS Day,” encouraging Internet users to mock and prank the group online. One result? An ISIS website was replaced with Viagra ads, a jab at the terrorists’ masculinity. Trolling aside, it’s arguable whether Anonymous and others (like the Anonymous subgroup GhostSec) can significantly hinder ISIS, and whether or not they are as effective as government agencies. As opposed to government workers, vigilante hackers are unrestricted by the law, and can operate unhindered across nations with no obligations of fair play or secrecy. Their members may also possess skills and methods that escape international intelligence. In this way, hijinx be damned, they may rightfully be considered both powerful and dangerous. Government officials and counter-terror professionals are split in opinion of the role hackers are playing in the global effort against ISIS. Some say Anonymous and its ilk may interfere with government investigations, while others support their blockage of ISIS’ mighty recruitment funnel. The real question is whether the Anonymous brand of cyber warfare — or the government’s, for that matter — can damage extremists where it counts the most: in Iraq, Syria, and its surrounding nations. The answer is both yes and no. With the significant know-how, a hacker could cut off funds to ISIS, or block internal communications in the region. But for the same reason physical warfare is so risky, so is this type of attack: collateral damage. But Anonymous is notoriously negligent of this; they don’t follow rules, and can be unwieldy in execution. A digital war’s soldiers, after all, are operating on unchartered territory. They’re masked by anonymity, or government protection, and the impact of their ammunition largely unknown. It’s likely that more complications will arise before the breadth of cyber tactics’ effects are fully realized. But until ISIS is defeated, the web’s many armies will carry on, guns out. Featured image: Pierre Rennes via Flickr.